The Lok Sabha Elections 2019 will witness all seven parliamentary seats in Delhi go to polls on May 12. The counting of votes will be conducted on May 23. New Delhi: The Congress on Friday kept ‘open’ the doors for the Aam Aadmi Party (AAP) to come into an alliance with it in Delhi for ongoing Lok Sabha Elections 2019. The party also added that it will announce the candidates name for seven parliamentary seats in the national capital in a day or two. “AAP wanted to have an alliance in other states also which is not practical. Every state is different; we will announce the seats tomorrow or day after tomorrow. 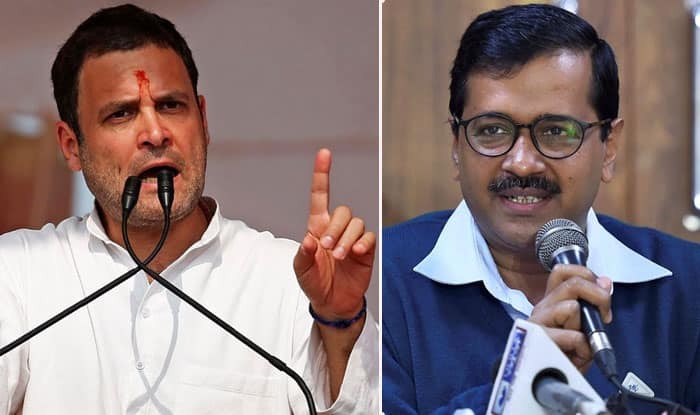 If they are ready for an alliance in Delhi with Congress, we are ready even today,” All India Congress Committee General Secretary and in-charge of the party’s national capital unit PC Chacko was quoted as saying by news agency ANI. The development came two days after AAP leader Sanjay Singh said that a tie-up with the Congress is not possible in Delhi. “In Punjab, we’ve 4 MPs and 20 MLAs and Congress doesn’t want to share seat there; the same situation is in Haryana, Goa and Chandigarh. In Delhi, where they don’t have any MLA or MP, they’re demanding 3 seats. So, this alliance is not possible,” he had said on Wednesday. Reacting to Sanjay Singh’s statement, PC Chacko had said that the Bharatiya Janata Party (BJP) cannot be defeated single-handedly in Delhi by the AAP. “No problem, we welcome his statement,” he had said. He also added that the names of Congress candidates will be discussed in the Congress’s central election committee (CEC) meeting on Thursday. “The announcement of candidates is possible after the meeting,” he said. Meanwhile, following AAP’s rejection, the sources had reportedly said the possibility of an alliance between the two parties may not be over yet, and the current contradictory statements from them could be a pressure tactic to secure a better deal in seat-sharing. The seven Lok Sabha seats in Delhi will go to Lok Sabha Elections 2019 on May 12. The counting of votes will be conducted on May 23.